Bears are big, strong, and love to eat. That’s why you need to keep your food in a bear safe when camping in bear country. Bears have an incredible sense of smell. Their nasal mucosa is 100 times larger than that of a human. So if you have anything even slightly odiferous hanging around your campsite, it invites four-legged trouble. In fact, many popular national parks now require backpackers to carry approved hard-sided bear canisters. But an old-school bear safe can be a pain to rent — and remember to return — at local outdoor shops. 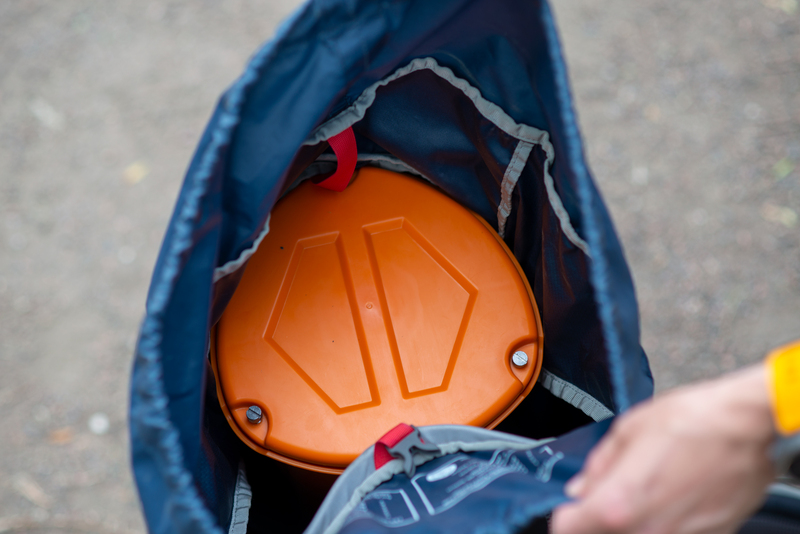 Plus, many rental bear bins are rotund, which makes squeezing them in an already organized pack a pain in the rear. Bottom line: If you adventure enough, buy your own bear safe, preferably one that’s shaped to slide into your backpack. 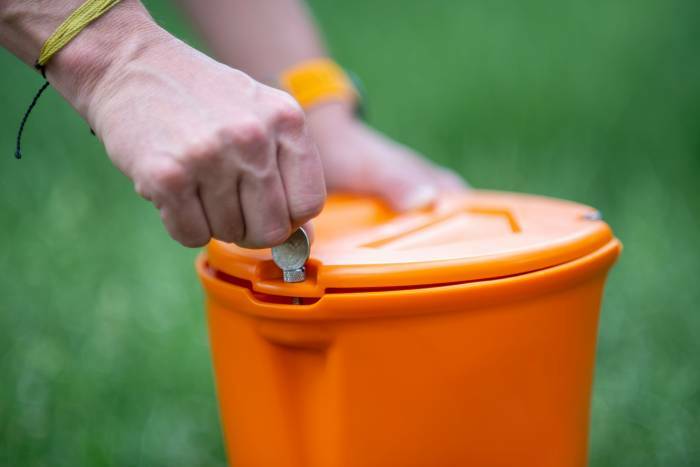 The Frontiersman Insider Bear Safe is tapered for easy packing but has high-capacity 45-liter storage that works for outings with family and friends. 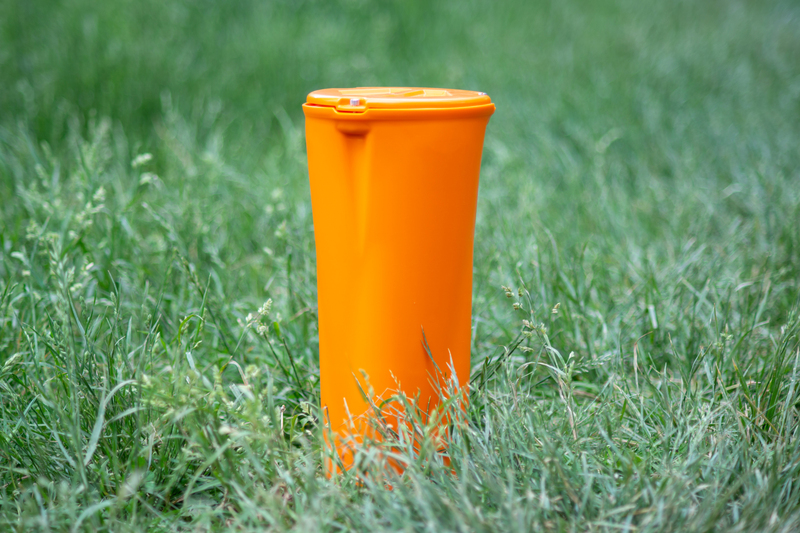 What do you put in your bearproof canister when you’re ready to hit the hay or leave your campsite for the day? Obviously your food. But don’t forget these other strongly scented items that could attract ursine forest dwellers. If you have a portable backpacking stove that will fit in a bear safe with your food, great. That meal-maker is bound to retain some food smells no matter how well you clean it. So squish that food-scrap bouquet in your hard-sided canister and call it a day. Lip balm is a necessity for camping and backcountry travel. But it comes in a lot of savory scents these days. And just like you, bears are going to like vanilla, coconut, and even unscented. Plus this stuff also touches human lips — even more incentive for a bear. So stash this important accessory in your bear safe, and forget about it. Although a slightly different scent, there’s plenty of odor in sunscreen too. And you need the skin-saving spread like mad when you’re outside all day. So don’t risk it by leaving your favorite sun protection somewhere a bear might nose around. Secure it so you’ll have it the next day when you need it. If you have any room left, add anything with sharp smells like bacon grease or animal remains (if you’ve been hunting). 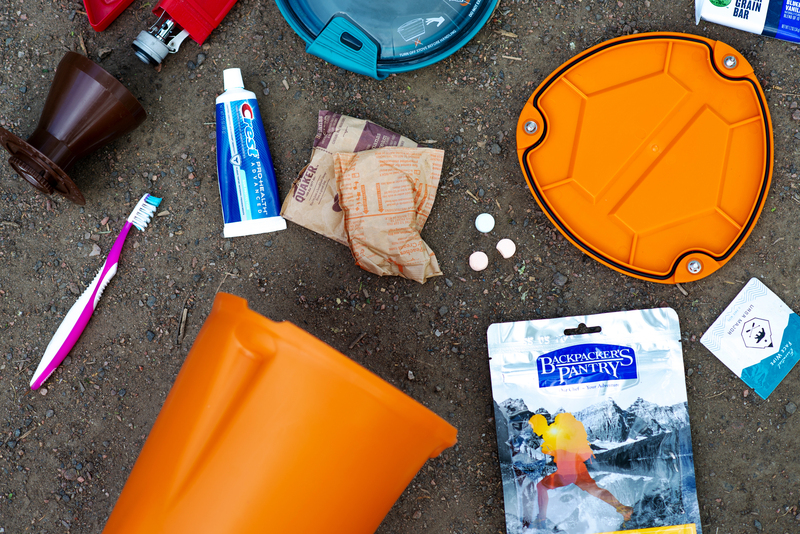 If you’ve got a spork, pocket knife, or bandana with lingering stink, add those to your bear-busting catch-all bin. This post is sponsored by Sabre. For more information on the Frontiersman Insider Bear Safe, click here.